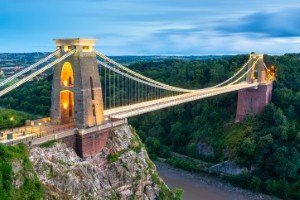 Bristol is set to host the world's first public 5G testbed intended to explore the next generation of both wireless and wired connectivity. The Layered Realities Weekend 5G Showcase will take place on March 17th to 18th and will feature a series of free experimental public events. It will be hosted by the University of Bristol's Smart Internet Lab; film culture and digital media centre Watershed; and We The Curious, the Bristol-based science centre. The UK government's Department of Digital, Culture, Media and Sports (DCMS) is investing in a world-class 5G technology test network that aims to put the country at the forefront of the next wave of mobile technology. The University of Bristol has been awarded a share of £16 million to develop the 5G UK Test Networks. The Layered Realities Weekend 5G Showcase is part of this test network. Led by Professor Dimitra Simeonidou, the Smart Internet Lab has also created a series of experimental demonstrations. These aim to showcase a wide range of 5G technologies. According to the research team, these presentations will include new radio and wireless-fibre convergence, as well as network automation, public safety and autonomous cars. Professor Simeonidou said: "In March 2018 we are taking the challenge to deliver an end-to-end 5G network in Bristol’s Millennium Square and to demonstrate for the first time 5G services to the general public. “We have worked closely with our strategic technology partners BT, CCS, Nokia and Zeetta Networks in order to deliver a truly unique 5G Test Network and we are very excited to create the world’s first public 5G experience." A real-time transmission will be sent from a connected autonomous vehicle (CAV), parked in Millennium Square for the duration of the weekend. According to the University of Bristol, wireless connectivity is one of the underpinning technologies allowing the CAVs to transform from autonomous systems to cooperative entities via collaborative sensor sharing.